From buckets to leadership - the Kings guard has been huge for Sacramento. Even on a team full of rising stars, Buddy Hield continues to shine bright. The Kings have opened the eyes around the Association this season and No. 24 has been at the forefront of the resurgence. 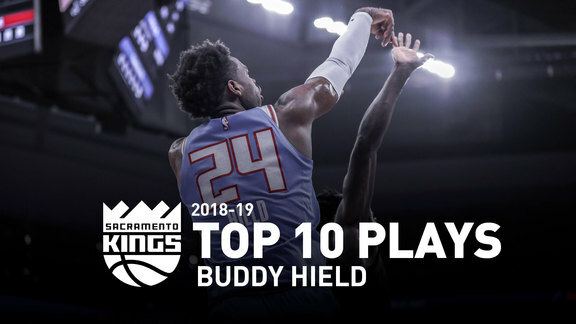 With a team-high scoring average of 20.8 points per game, fans in Sacramento have come to known Buddy Buckets as a constant source of offense, energy, and hustle. "I want to be the guy everybody looks up to, and say, 'Hey Buddy, what do you think about this one?'" he said to Bleacher Report’s Leo Sepkowitz. "A lot of people don't like that challenge. I like that challenge." In this recent feature article, Sepkowitz detailed how Buddy’s relentless work ethic and preparation combined with his competitive fire has helped the sharpshooting guard make large strides in his third season. The Bahamas native spent the offseason focused on training his body to handle the strain of the uptempo offense Coach Joerger was installing. “I was like, ‘OK—Coach is crazy,’" Hield said to Sepkowitz. "But everyone got used to the pace, and me being a leader and athlete, I'm not letting these dudes beat me. You wanna play fast, this is my strength, you know? It brought something out of me." The hard work has been paying off. 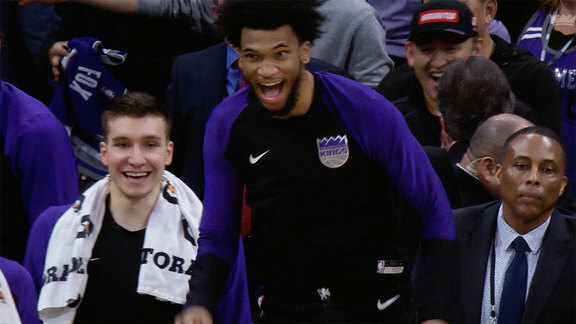 Buddy Buckets continues to light up the scoreboard on a frequent basis for Sactown, most recently dropping a game-high 29 points in a win against the Dallas Mavericks. The 26-year-old is also putting up career-high averages across the board in 2018-19 including points, rebounds (5.1), and assists (2.5).